Throughout 2014 the Kirkintilloch Herald Series has been at the forefront when it comes to local news and picking up on the issues that are important to our readers. Last week we published part one of our annual review (January-June) looking back on the stories that made the headlines in the Herald in 2014. This week we publish part two (July-December). Save our Greenbelt! That was the cry from campaigners outside East Dunbartonshire Council this week, as they campaigned to block building on greenbelt around Milton of Campsie. Councillors have approved plans for 200 new homes but locals are furious. Our photographers also went round the nurseries this week, capturing their graduation ceremonies. A new public square in Kirkintilloch has been officially opened and described as a breath of fresh air for the town centre. The Barleybank area has been redesigned with boat themed seating, a decked area overlooking the canal and easier access. A time capsule has also been placed at the stone under a commemorative stone. Plans to build a new supermarket on the edge of Kirkintilloch have sparked a backlash among local residents. The plans for the Woodilee area could bring in 300 jobs. The Queen’s Baton Relay is making its way to Springburn this week. East Dunbartonshire’s Municipal Bank will close after a vote by councillors. The timescale for the closure of the bank is being prepared. And work continues on the revamp of Kirkintilloch Town Hall. Let the Games begin! That was the headline news as the Queen’s Baton Relay came through East Dunbartonshire. Many local people carried the baton, others prepared to volunteer as Clydesiders at the Games. Things were picking up for the property market with house prices in East Dunbartonshire rising by 8.6 per cent in a year. Plans have been unveiled for the transformation of the A-listed Springburn Winter Gardens. There was shock and disappointment for Bishopbriggs-trained Michael Jamieson, the poster boy of the Commonwealth Games, who found himself taking the silver medal place in the 200m breast-stroke final. Two cuddly canines were top dogs at the Commonwealth Games opening ceremony. Lina and Weetabix, owned by Graeme and Victoria Bell of Kirkintilloch, were stars of the opening ceremony. Springburn was revealed to have the highest number of job seeker claimants in Scotland, according to official figures. A special World War One centenary edition of the paper was produced, remembering the fallen heroes 100 years on from the start of the great war. Elsewhere the fight continued to save St Agatha’s school, with a plea for the Scottish Government to ‘‘come clean’’ over its decision. And a Muirhead shopkeeper says he has lost more than £12,000 in trade and could be forced to move out of his shop over a flood on a footpath. Angry motorists and pedestrians have slammed a month-long traffic trial at a busy town centre junction, calling it ‘‘an accident waiting to happen’’. 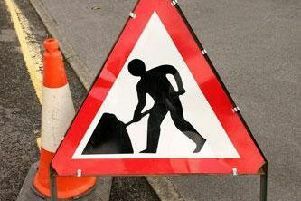 The junction at Catherine Street and Cowgate, Kirkintilloch, will have no pedestrian crossing or traffic light control for four weeks, with pedestrians given the right of way. Bishopbriggs Community Council held a poignant ceremony to remember the fallen from the great war, while in our Springburn edition, a Glasgow MSP welcomed plans for a crackdown on payday lenders. A controversial trial town centre traffic system which attracted a barrage of complaints is set to continue this week. It was put on hold when pupils returned to school, but the traffic lights have been turned off again, leading to concerns for safety. Traffic chiefs have refused to stop the trial, but added all feedback would be welcomed. Expansion work is beginning on the Robroyston Retail Park, with a multi-million pound investment underway. Thousands of people set sail for Kirkintilloch at the weekend for a fantastic feast of boat trips, live music, fireworks and family fun. An estimated 20-25,000 people attended the canal festival, organised by East Dunbartonshire Council and the Leisure and Culture Trust. Prison guards at HMP Low Moss in Bishopbriggs recovered £19,000 worth of illegal drugs from inmates in just over two years, a Freedom of Information request has shown. And a £100 million housing development for Robroyston is on track. Bulldozers may soon be brought in to demolish Tom Johnston House in Kirkintilloch, as part of redevelopment plans for the area. The former council headquarters has lain empty since they moved to Southbank Marina in 2012 and the 10-acre site is on the market. Worried Bishopbriggs residents have called for action to tackle an eyesore drinking den at the High Moss, which they say has been left devastated. And a new campaign to crackdown on dog mess has resulted in just two irresponsible owners being fined. Support is growing for a campaign to bring chemotherapy services back to Stobhill, with MP Jo Swinson and many local residents backing the appeal. The controversial Kirkintilloch town centre traffic trial has finished and the council is now taking time to analyse the feedback. A nine-year-old girl successfully took part in a 100-mile cycle challenge on Sunday, completing it in just 10 hours. Beatrix Kiehlmann from Bishopbriggs was the youngest person taking part in the Pedal for Scotland Sportive event. Scotland’s future will be decided on Thursday when the people of East Dunbartonshire and North Lanarkshire join fellow Scots in taking part in the independence referendum ballot. People from both sides have been urging residents to make sure they use their vote, and pledge their allegiance to either the yes or no camp. And votes of another kind are called for, as Chirnsyde Primary School, North Glasgow, has made it through to the shortlist for the Bank of Scotland’s Community Fund and could receive up to £3000. A building that was gutted by fire seven years ago is finally going to be demolished. East Dunbartonshire Council has bought the former Co-op premises at 85-97 Townhead, Kirkintilloch, and the site will be used for new homes. A string of arrests have been made after police operation Orion cracked down on housebreakings and thefts in Bishopbriggs. Springburn returned the highest city Yes vote, outnumbering the no campaign by almost 57 per cent, despite the country overall voting to stay in the UK. Police in Bishopbriggs launched a murder hunt this week after a 28-year-old man was seriously injured in a disturbance near his home in Auchinairn Road. Police say they are following a positive line of inquiry. The doors opened on a brand new £2.7 million community centre in Kirkintilloch. The new facility will cater for the Hillhead area. A plea to keep a GPs’ surgery in Hilton Road, Bishopbriggs, open has failed, with the news it will be shut down for good. The campaign to have chemotherapy services delivered at the ‘new’ Stobhill Hospital is being backed by the Lib Dems at Holyrood, with the fight being taken to the Scottish Parliament. Leader Willie Rennie and the party’s health spokesman are to table parliamentary questions on the issue. Lenzie became the latest golf club in Scotland to install a life-saving defibrillator. The campaign was started by former Ryder Cup captain Bernard Gallacher who collapsed at a sporting dinner in Aberdeen a year ago. His life was saved by an on-site defibrillator. A woman had a lucky escape after being hit by a car deliberately driven at her. The hit and run happened in Springburn, injuring the 26-year-old. Hundreds of council employees will stage a one-day strike next week following a dispute over salary negotiations. Unison members all across Scotland will stage a walk out after a break down of talks. Bulldozers started clearing the way for a new £5 million community hub in Lennoxtown. Police are warning people to be on their guard against phone fraud after three elderly victims were conned out of thousands of pounds. The unsuspecting OAPs were duped into transferring funds from their bank accounts to scammers. The public have been warned to be ‘‘extremely wary’’. Just over a mile separates Springburn and Bishopbrigss but figures show a seven-and-a-half year difference in male life expectancy. The new NHS report shows East Dunbartonshire topping the longevity poll, but Glasgow is at the bottom. There were growing fears for council workers’ jobs this week as a council held talks in private over the impact of massive budget cuts. It is understood one of the proposals is to ditch the traditional school janitor role and replace them with a fewer number of site co-ordinators, shared between schools. The cuts are thought to affect other staff, including bin men, maintenance workers cooks and cleaners, who could all see changes to their shifts and payments. In Springburn Park a huge sculpture of a snow leopard has been unveiled as a legacy of the Glasgow Commonwealth Games. Campaigners are launching an action plan in a bid to block the controversial mining technique known as fracking from being introduced in East Dunbartonshire. Worried residents in Kirkintilloch and Bishopbriggs are forming campaign groups to try to block fracking, which they fear is an unknown quantity that might have a catastrophic impact on the environment. A family of four were injured after a car careered into their house at Waterside Road, Kirkintilloch. Services and parades were held across local communities to pay respect to the brave men and women who lost their lives in conflicts around the world defending their country. Remembrance Sunday services had a particular poignancy this year, the centenary of the start of the first world war. In Springburn factory workers and union bosses have taken their bid to win fair redundancy packages to Europe. A long-running campaign to have cancer patients treated at the ‘new’ Stobhill Hospital has suffered a major setback. Health campaigners want chemotherapy services to be provided at the state of the art hospital, but questions tabled in parliament received a less than favourable response from health minister Alex Neill. Campaigner Tom Herbert has vowed the fight will go on. Green MSP Patrick Harvie will speak at a public meeting in Bishopbriggs on fracking, the controversial new mining technique. Workers whose jobs are under threat at East Dunbartonshire Council have reacted furiously to news that some of the council’s top earners are to get a bumper pay rise. Chief officers, earning between £78,000 and £119,000, are rumoured to be in line for five figure bonuses. Meanwhile 800 staff at the council are at risk of redundancy, or seeing their jobs and salaries downgraded. Elsewhere Balornock Primary and St Martha’s Primary pupils joined together with local residents in the Let Glasgow Grow Together project. Kind-hearted Kirkintilloch and Bishopbriggs residents are getting behind food bank appeals to help people less fortunate this Christmas. There are drop off points in national supermarkets, local shops and at local churches. MP Jo Swinson has demanded to know why a chemo unit would be unsafe at Stobhill. She has challenged NHS Glasgow and Clyde over their rejection of day services. The winning design for the restoration of the derelict Springburn Winter Garden has been revealed. Scotland’s drink drive limit has been lowered, with Kirkintilloch Inspector John Hunter hoping to crack down on ‘‘morning after’ drivers. But he said he hoped that the education message would get through and people wouldn’t risk it. East Dunbartonshire Council and its partners have spent the last 16 days supporting a campaign to eradicate violence against women. Only three motorists have been caught drink driving in Kirkintilloch and Bishopbriggs since a tough new campaign began last week. Just 12 per cent of people pulled over to be breathalysed proved positive, and all three were over the old drink drive limit, which was reduced by almost half on December 5. An SNP councillor has criticised the local authority over Bishopbriggs town centre, saying it lacked a coherent strategy. The council rejected the view and said it has major plans. A charity is celebrating a festive runaway success after its fundraising Santa Dash helped raise thousands of pounds. Nearly 250 Santa lookalikes ran through Mugdock Country Park in aid of Lenzie-based Deafblind Scotland. Concerned residents living near the scene of a dramatic accident, which saw a car crash into a house on Waterside Road, Kirkintilloch, are demanding action to make the area outside their homes safer. A statue commemorating the life of Scottish countryside legend Tom Weir, from Springburn, is unveiled at Loch Lomond.